1210.94 sqft. - 3774.26 sqft. Luxora infrastructure is coming up with this newly launched Springfield 3, spreading over the total area of 3.18 acres with the slated possession in December,2020; in Chandrakiran nagar ,Nagpur. Being situated in the developing suburb of Nagpur, South, the guarantee of stability in price is not there as the prices in this place have already risen by 2% in last two years. This place is donned with numerous key schools like Green City School And Junior College, Green city convent, Gurukul English School, Shree Chakrapani Kala Mahavidyalaya, Shivgauri Upper Primary School, Sahyandri Convent High School, School Of Scholars, Small Wonder Convent and many more. HRG school being the closest of all and falls within the radius of 1.63 kms.While, Sukhkarta Hospital, Rode Maternity Hospital, Jaiswal Hospital, Rathod Hospital and Onkar Nursing Home etc are present here for the medical care. Based on the blooming neighbourhood and well equipped amenities this underconstruction project is creating a wonder! 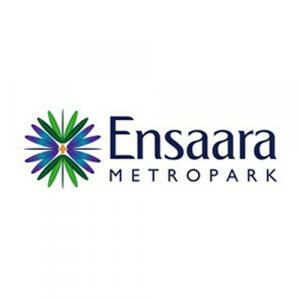 The Builders of Ensaara Metropark are Luxora Infrastructure Private Ltd. and is jointly promoted by the Aanya Group and Luxora Group. With this project they aim to set an example for other builders in Nagpur. The organisation has over rich years of experience in residential Real Estate development, with a particular focus on producing high quality developments, which feature beautiful, modern designs built to exacting standards. The two groups combine intelligent building design and international best practice to create progressive, socially-responsible developments. They share a vision of creating residential housing and multi-use metroparks, which exceed expectations and are symbolic of modern India. Aanya and Luxora are also collaborating on other projects in Maharashtra, including recently launched Crystal Spires – a luxury development in Thane under construction and developments in areas of the Mumbai Metropolitan Region.